Equality Forum applies for and oversees the installation of government approved, “nationally significant” LGBT historic markers. 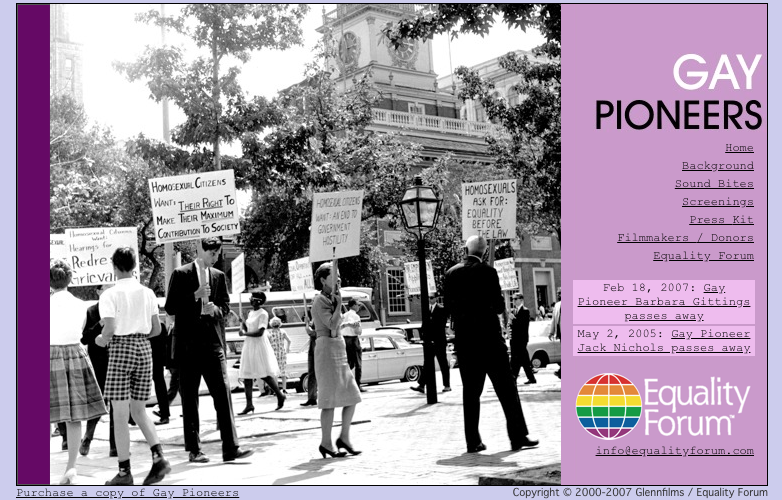 Each reflects an important person or seminal event for the LGBT civil rights movement. Philadelphia has more government approved, nationally significant LGBT historic markers than any other city worldwide.